After buying my boyfriend a Fitbit Charge HR when they were realised at the start of this year I started thinking about getting myself some sort of fitness watch. It took a lot of research and comparing to figure out which style suited my needs. I was looking for something that I'd only have to wear during a workout and one that would tell me how many calories I'd burnt - basically a motivator to keep going. The Polar FT4 seemed like the most suitable and finding it on Amazon for around £50 was not bad with around £100 as the RRP. The watch was easy to set up, inputting information like gender, age, height and weight to get a more accurate calorie burn. Typical me, I chose the pink watch and I was quite happy with how sturdy it was and comfortable on my wrist. The heart rate band is easy to put on, not very noticeable under clothes and feels quite comfortable quite quickly. Press the button twice and your good to go with a workout. The watch has a couple of displays, heart rate, calories burnt, length of workout, time and fat burning zone. It's really easy to flick through them during a workout. I've found the heart rate monitor really motivating and tend to have the heart rate on display most of the time. The beeps to let you know if you're in the fat burning zone are quite good to push you that bit further but you'll find if you're doing some HIIT you'll be beyond the fat burning zone, it's just the nature of the work! I've found myself up-ing my cardio work throughout the week to see better results on my FT4. It's great being able to look back at your training data too. As far as low-cost heart rate monitors go this is pretty impressive. I feel like it's quite accurate and reliable, easy to use and does everything a regular gym goer could need. If you're looking for a watch that's got a heart rate monitor along with able to track your steps and activity throughout the day then you might be better looking into the Fitbit. Perhaps I could convince my boyfriend to do a guest review for me. Any other FT4 users with loads of data photos on their phone too?! 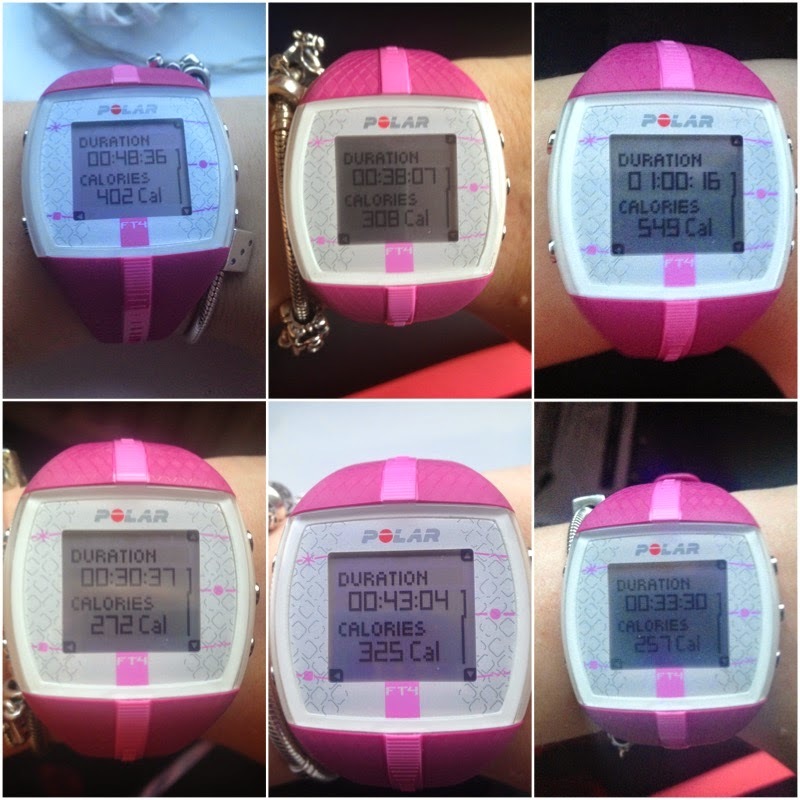 Have you got a fitness watch?